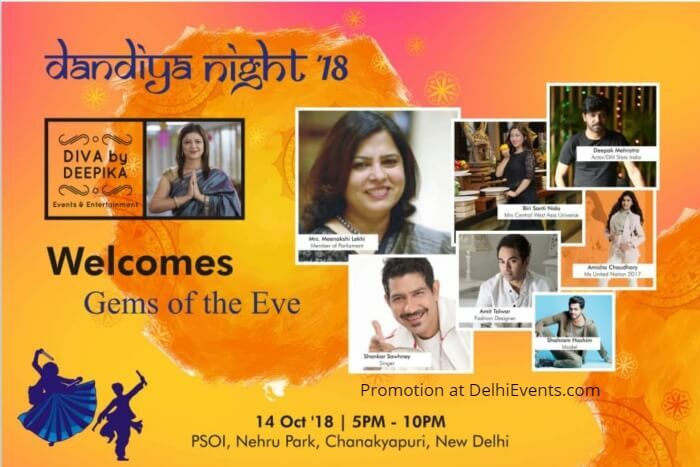 In the season of Navratra's, groove to the tunes of foot tapping fusion music at one of the biggest event of town- Dandiya Night’18. The second in series, Dandiya Night ’17 was a huge success with an overwhelming attendance of over 1,000 Dudes & Divas from Delhi & NCR. This year will see Singer Shankar Sahney, Designer Amit Talwar, Mrs Central West Asia Universe 2018 - Biri Shanti Nido & Casting Director Deepak Mehrotra and many more famous personalities of the City.